Avis Budget Group has announced a global partnership with Etihad Aviation Group to become the exclusive car rental provider for Etihad Airways, Etihad Holidays and Etihad Guest. The partnership will see the Avis, Budget and Maggiore brands offered across the various Etihad booking channels worldwide. Etihad Guest members will benefit from the Avis Preferred programme and an improved earning proposition. Julia Kemp, Director of International Sales & Partnerships, Avis Budget Group said, “We are delighted that we have extended our partnership with Etihad to be the exclusive global mobility provider. 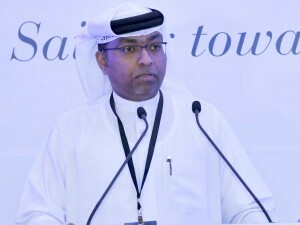 Whilst offering deals on Avis Budget Group car rentals, we will be looking at tri-party campaigns with hotels, tourist boards and credit cards.” Yasser Al Yousuf , Vice President of Commercial Partnerships, Etihad Airways said, “This partnership gives our guests a seamless travel experience door-to-door. We chose Avis Budget Group as an exclusive partner for their wide-ranging fleet of cars and their global reach which suits the needs of our guests and plays a big part of our ‘Choose Well’ campaign empowering customers to make their own choices.” To celebrate the new partnership, Etihad Guest and Avis Budget are offering Etihad Guest members the chance to win flights for two, with Etihad Airways anywhere across the Etihad network – plus 7 days car rental. To be eligible, members need to book a car rental before April 30, 2019. Millennium Hotels and Resorts, Middle East and Africa has announced the addition of Millennium Place to its diversified portfolio of hospitality brands. A modern hotel concept that will cater to the new generation of business and leisure travellers, Millennium Place is slated to open in the first half of 2019 and will stand within the bustling district of Dubai Marina. The hotel features 453-rooms and suites that are designed to deliver a compelling guest experience offering views of the Dubai Marina and the Palm Islands. 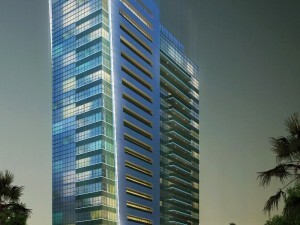 Its strategic location will allow guests walking access to The Walk, Jumeirah Beach Residence and nearby metro stations. “The Millennium Place Marina will focus on things that make a difference to our guests’ stay. It could be the in-room entertainment, the pillow, our hotel facilities, food and of course our excellent service. We want our guests to call their room a place of their own when staying at Millennium Place,” said Atef El Eskndarany, the newly appointed Director of Sales and Marketing of the property. Eskndarany will serve as an integral part of the pre-opening team and will be responsible for leading the sales and marketing efforts for the property. 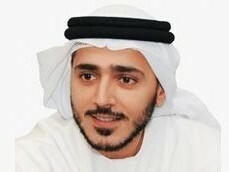 He brings almost nineteen years of sales and marketing experience in UAE, Oman and Egypt. Prior to this role, Eskndarany was the Cluster Director of Sales and Marketing for Radisson Blu Dubai Marina and has participated in the pre-opening phase for six hotels of various international hotel brands such as InterContinental Hotel Group, Movenpick and Radisson Hotel Group. 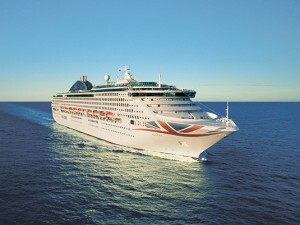 Dubai Cruise Tourism, a department of Dubai’s Department of Tourism & Commerce Marketing (Dubai Tourism), alongside its public and private sector partners welcomed cruise ship Oceana into Dubai for the debut of UK-based, P&O Cruises into the region as it homeports for the season. With Dubai as its official winter hub, the luxury vessel has recently commenced the operation of regular Arabian Gulf itineraries. The ship is scheduled to make six round-trip programmes, bringing in over 20,000 tourists to Dubai during the 2018-19 season. At 261.30 meters long and weighing over 77,000 tonnes, Oceana will remain in-port in Dubai for over 48 hours at a time giving guests the chance to explore the city’s diverse tourist experiences and varied attractions before setting sail on an exciting itinerary across the Arabian Gulf. The luxury liner will offer three different itineraries as part of its Arabian Gulf fly-cruise programme ranging from seven nights covering ports in the UAE and Bahrain; 10 nights covering UAE, Oman and Bahrain; and a 13-14 nights between Dubai and Malta on its repositioning voyages till March 22. Jamal Alfalasi, Director, Dubai Cruise Tourism said, “Our partnership with P&O Cruises is testament to the robust growth of Dubai’s cruise industry and further highlights the emirate as a significant destination for cruise tourists worldwide. We are grateful to our valued network of public and private sector stakeholders for their continued cooperation and support, which has led to an ever-increasing number of cruise operators looking to anchor in the emirate.” During the 2019-2020 cruise season, the liner will have an extended deployment in Dubai with 14 calls offering a variety of itineraries to an anticipated 40,000 tourists. Celebrating its 25th year, the Arabian Travel Market press conference has kicked off amidst a crowd of local and international media at the Address Boulevard Dubai . 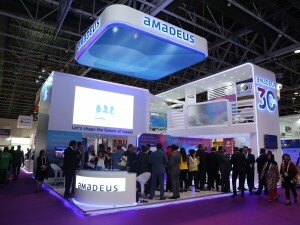 Simon Press, Director Reed Exhibitions for ATM and WTM stated that this year they expect over 40,000 visitors and 2,500 exhibitors from over 100 countries at the event. Issam Kaim, CEO, DTCM reiterated their efforts to attract more travellers to the destination by various programmes implemented with their partners and stakeholders to enable 20 million visitors by 2020 and beyond. The latest news shared from DTCM and Emirates was the plan to introduce a transit visa package to those who travel to different destinations via Dubai. Olivier Harnisch, CEO, Emaar Hospitality Group shared the latest trends seen in the region and the introduction of a unique brand aimed at the millennials who would spend less time in the hotel room but more time on other activities of entertainment and leisure. This supports the overall vision of Dubai tourism to further go ahead with their 2020 strategy to attract the type of clientele they seek.